Come visit and enjoy our little piece of heaven….Cruso, North Carolina. 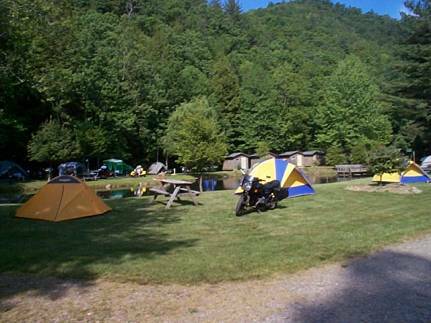 Camp along the cool, clear Pigeon River, watch the sun set behind Cold Mountain and enjoy our evening camp fire. Get to know some of the best people you will ever find…your fellow motorcyclists.